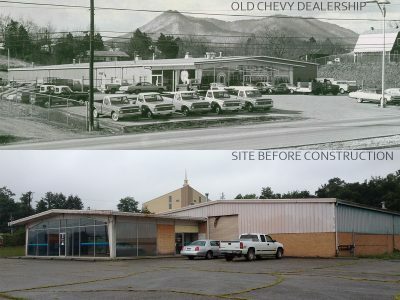 In renovating an abandoned auto dealership facility Memorial Baptist was not only able to provide a new home and identity for their new church, they were able to take a property that had been run down and useless for many years and restore it to a new life and purpose for Kingdom building impact. The members of Memorial Baptist Church wanted to bridge the gap between traditional Baptist church models and contemporary church models that appeal more to younger generations. 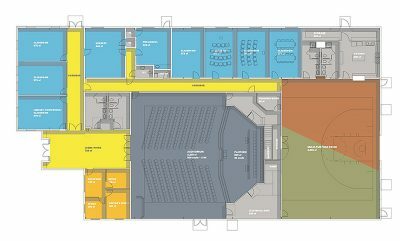 The building design accomplishes this by incorporating some traditional church design elements in conjunction with an asymmetrical layout of the building that is more contemporary than traditional church plans. A new entry lobby was necessary to provide a key circulation connection and create a landmark focal point for the building entry. 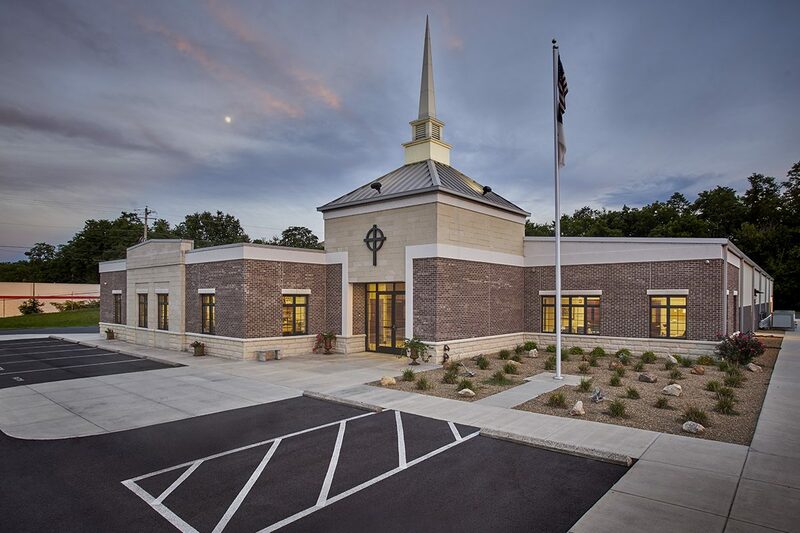 The exterior of the building reflects the church’s brand and identity by using traditional materials such as limestone and brick applied in ways to reflect a more transitional design. Furthermore, wall construction was designed to be more energy efficient to create a more functional and insulated interior environment. The exterior metal wall panels and CMU were painted to match the new materials to complete the transformation.The spaces included within the facility are a 350 seat worship center, adult and children’s classrooms, administrative space and a multi-purpose space with a connected kitchen. 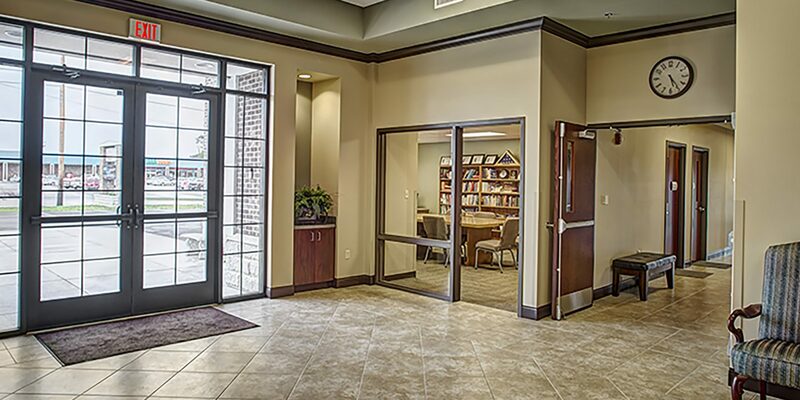 By renovating this existing facility the church was able to accomplish this project for a construction cost of $1,061,000 which translates into $68.00/sf. This is approximately half of what this project would have cost to complete had it been all new construction on an undeveloped site.This project not only accomplished all of the goals it needed to as a design and building project it also serves as a great illustration of the transformative power of the Gospel to restore and transform our lives from hopelessness to a new purpose and life through Jesus Christ.